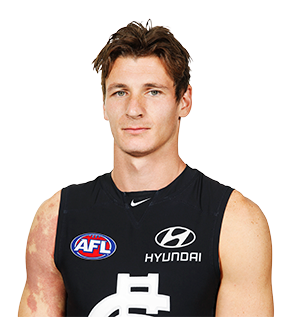 Although Andrejs Everitt only managed 13 senior games for the Blues in 2016, he made a big impact in three of Carlton's most memorable wins this year. Sam Docherty and Andrejs Everitt will achieve a rare double in Sunday's match against Adelaide at the MCG. 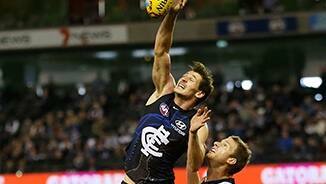 Carlton Media picks its top-five most influential player stats from the win over Geelong. Carlton’s leading goal kicker in 2015, Andrejs Everitt was one of four players to run out in every game last season. The versatile tall notched up his 100th game and provided the Blues with some much-needed consistency. Everitt’s impressive performances earned him a contract extension at the end of 2015, which will see him remain at the Blues for at least another season. Draft history: 2006 AFL Draft 1st round selection (Western Bulldogs) No.11 overall; 2010 AFL Draft traded by Western Bulldogs for Patrick Veszpremi and No.88 (Zephaniah Skinner); 2013 NAB Draft traded by Sydney for No.32 (George Hewett).